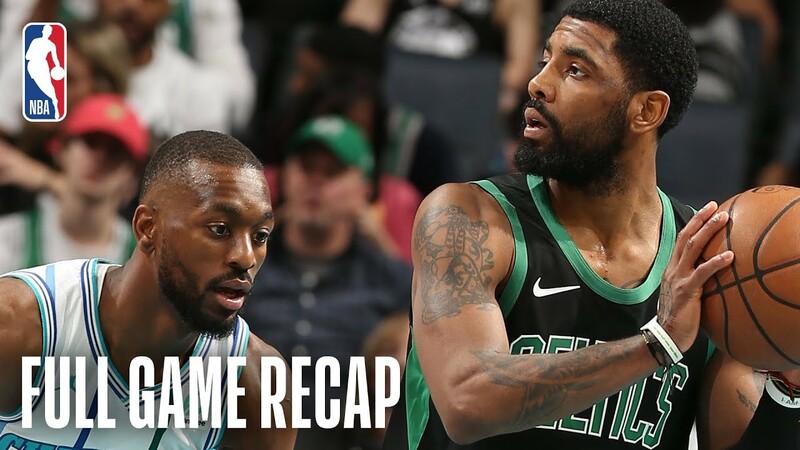 The Hornets closed the game on a 30-5 run behind 18 4th quarter points from Kemba Walker (35 total for the game, 11 rebounds, 9 assists) as they defeated the Celtics by a final score of 123-117. Miles Bridges added 20 points (8-13 FG), 7 rebounds, 3 assists and 3 steals in the victory. Kyrie Irving led the Celtics with 31 points (12-23 FG), 7 rebounds and 6 assists, while Jaylen Brown recorded 29 points (10-13 FG) and 2 blocks in the losing effort. Irving has now scored 30+ points in each of his last five games (the longest streak of his career), joining J. Havlicek, L. Bird and P. Pierce as the only Celtics players to have five or more consecutive 30-point games. With the win, the Hornets improve to 33-39, while the Celtics fall to 43-30 on the season. Previous PostPrevious Blake Griffin’s Best Play From Every Game Of The 2018-19 Season!